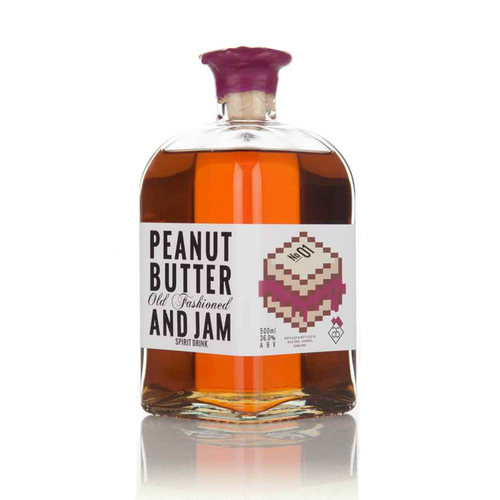 ​What do you get if you try to mix a peanut butter and jam sandwich with bourbon? A sandwich which falls apart when you pick it up due to the additional moisture resulting in a loss of structural integrity. However, if you're still determined to enjoy the delicious notes of bourbon and PB&J in one mouthful, Aske Stephenson have you covered with their Peanut Butter & Jam Old Fashioned bottled cocktail. Hitting classic bourbon notes alongside juicy raspberry jam and salted peanut butter, it's fantastic served in a rock glass over ice. It even comes in a bottle sealed with raspberry jam-scented wax! This comes to us from Aske Stephenson, the creation of Thomas Aske and Tristan Stephenson of Fluid Movement fame. Keep 'em coming, team!